At York Safety Solutions, our dedication to the safety and health of workers in a variety of industries is unmatched. We strive to prevent accidents, implement solutions to safety and health problems, ensure OSHA compliance, and instruct employers and employees on how to best provide a safe and healthy working environment for all. Through comprehensive inspections, on site and online training, consultations, site management and the creation of job specific plans and manuals, York Safety Solutions covers all of your bases and strives to keep your safety record and OSHA compliance a top priority. Our highly trained and certified staff works diligently to guide industry leaders and workers in prevention and education, encompassing all facets of OSHA guidelines. With years of experience in the industry on all levels, the safety specialists at York Safety Solutions hold certification in OSHA regulations, OSHA instruction, safe operation of a wide variety of equipment, fire suppression, asbestos awareness, medical supply handling and other specific skills sets and collective experiences that make us the ideal company for any and all occupational health and safety needs. Many of our skilled professionals also currently hold and actively pursue associates and bachelor degrees in Occupational Health and Safety. Together, our safety specialists believe there is always more to learn and new and better ways to ensure every worker, in every industry is protected and as safe as possible. We follow the basic standard principle that with comprehensive, safe and healthy work environments come reduced costs to employers, reduced incidents of worker injury or accidents, and an increased level of trust and accountability. We instill the belief of “Safety first, never last. Have a future, not a past” in every client we serve. 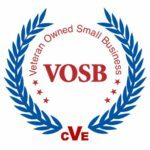 As of 2017, we are proud to announce our formal certification as a Veteran Owned Small Business.